Hobsons is pleased to recognize Flagstaff High School, of Flagstaff, Arizona, as the Naviance College and Career Readiness winner in the 2016 Hobsons Education Advances Awards. 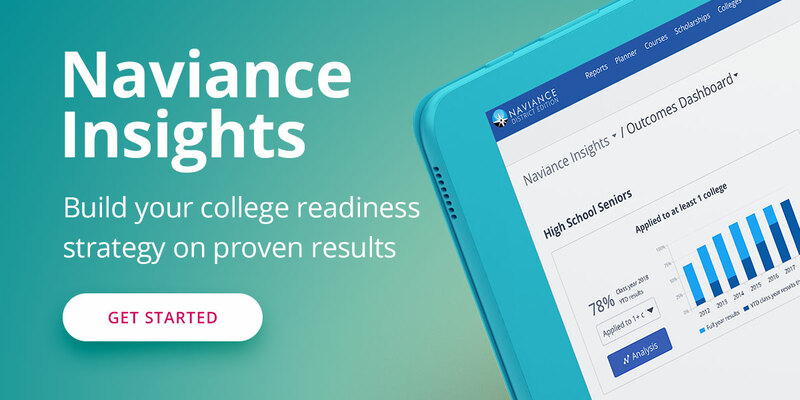 Stephen M. Smith, President of Advising and Admissions at Hobsons and co-founder of Naviance, announced the winner on the final day of the Naviance Summer Institute in Scottsdale, Arizona. Their award included $2,500.00 to promote the school’s college and career readiness efforts. Emmaus High School, Emmaus, Penn., and Metropolitan School District of Decatur Township, Indianapolis, were honored as finalists for the award. Each will receive $1,000 toward their school’s programs. Hobsons’ Education Advances Awards program is designed to recognize the innovation that is possible when a school combines people, process, and technology to make a difference in the lives of students. Congratulations to the winner and the finalists for continuing to make a difference in the lives of their students. Save the date for the 2017 conference, which will be held July 11–14 at the Gaylord Palms Resort & Convention Center in Orlando, Florida. Subscribe to our newsletter to learn about early bird discounts, speaker and session details, and other special promotions. For more information on the award winner, read our press release.